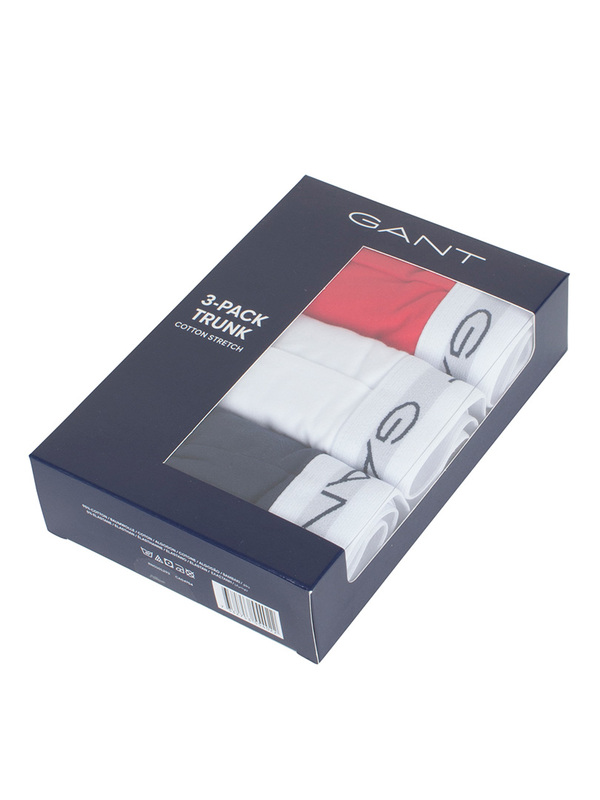 The 3 Pack Cotton Stretch Essential Trunks is offered by Gant in Red/White/Navy, with an elastic waistband with the repeated brand name on it. 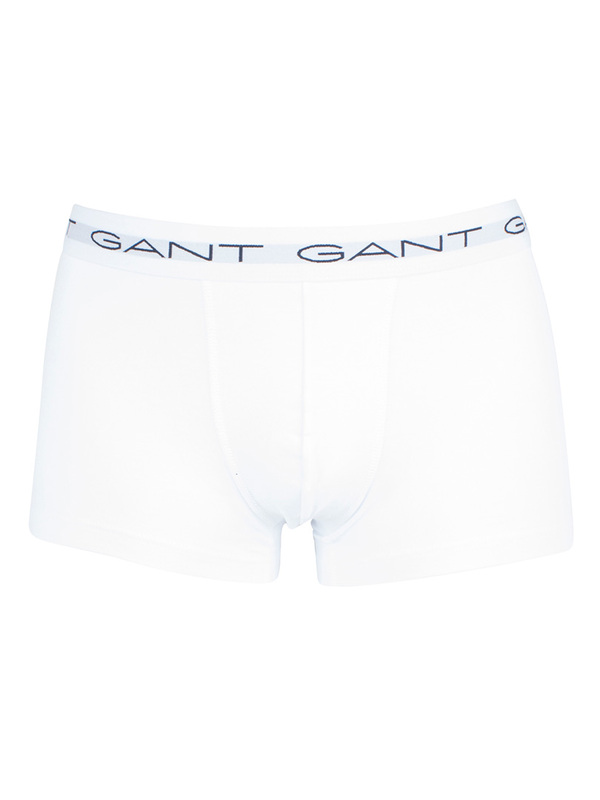 They feature a contoured pouch. Note: This item cannot be returned or exchanged for hygienic reasons.